Verna Mae Hughes, 74, left her family May 5, 2012, to spend eternal peace with her parents, eldest daughter and brother-in-law. Verna was born to Herbert and Suzie Krahn June 17, 1937, in Wolf Point, Mont., 15 minutes after her twin sister Violet June. On Feb. 28, 1957, Verna married William Fredrick (Bud) Hughes; soon after they were blessed with five children: Donna, Rick, Janice, Robin and Gerri. Everyone who knew Verna loved her. She was a mother, grandmother, great grandmother and friend to all. Verna was best known for her love and devotion to her family, especially her grandbabies, and of course many in the Tobacco Valley knew her as “the chicken lady,” first frying up chicken at JB’s for over 10 years, then moving on to Stein’s. Verna had a great love for bright vibrant colors, especially flowers and plants. She spent her most recent days planting spring flowers with her great grand kids. Verna was preceded in death by her parents, Herb and Suzie Krahn, daughter Donna Monroy, and brother-in-law Dale O. Kimmel. 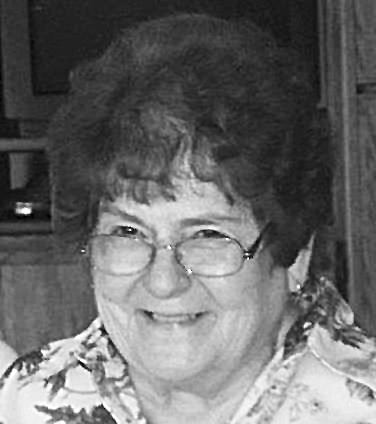 She was survived by her twin sister and best friend Violet June Kimmel; two brothers, Larry and Marvin Krahn; one son and his wife, Rick and Susan Hughes; three daughters and their spouses: Janice and Sam Doble; Robin and Tim White; Gerri and Scott Chapman; beloved grandchildren RoseAnn and Chris Kipp, Bill and Sarah Hughes, Josh and Rachel Doble, Danica Doble, Spenser Hughes, Preston (Whoobee) Hughes, Justin and Christen Doble, Deidra Hughes, Zach White, Shilah Doble, Kellen White; seven great grandchildren. Verna was also like a second mother and grandmother to her sister’s children: Marysue McEvoy and her three children; Cindi Guth and her daughter, Dale Kimmel Jr. and his six children and Jim Kimmel. At Verna’s request a family gathering and celebration of her life will take place at a later date. In lieu of flowers Verna’s family would like donations to be sent to the Tobacco Valley’s Special Olympics program in Verna’s name.